It should all start to come together within the Windows 10 Fall Creators Update. Connecting your phone to your Windows 10 PC has never been easier—and with the hints Microsoft has dropped as part of the Fall Creators Update, it looks like the phone will be a big deal in future PCs. Right now, if you own either an Android phone or an Apple iPhone, you can reply to texts right from your PC. In the future, you’ll be able to take webpages you were reading on your train ride and send them to your Windows PC at the office. Passwords? Who needs ‘em? And now, with a dedicated Phone section within the Settings menu, Microsoft appears to be setting up a framework for even stronger connections in the future. 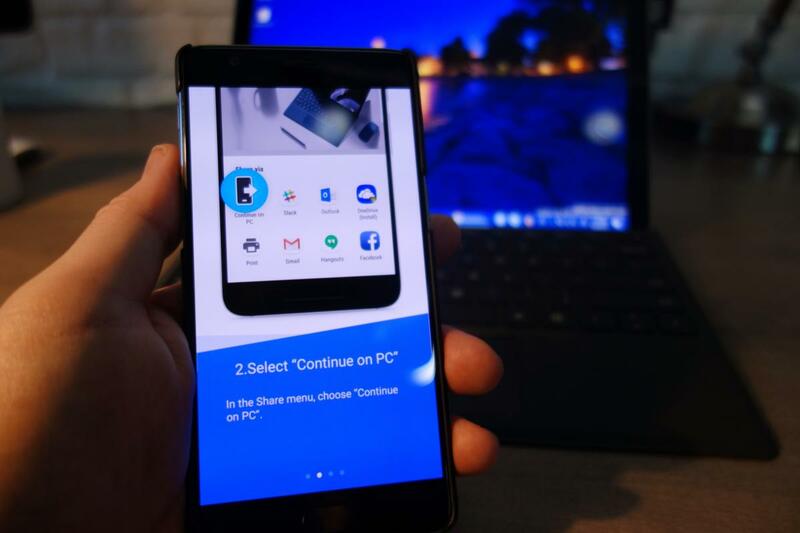 For those of you frantically waving Windows phones—yes, you too can connect your phones to your PC, via the Continuum experience Microsoft debuted a little more than a year ago. Unfortunately, with limited hardware and tepid customer support, Microsoft’s Windows phone aspirations are basically dead. Instead, Microsoft has focused on bringing its ecosystem to the far more popular iPhone and Android platforms. The best thing is all of these features are live within the Windows 10 Fall Creators Update. If you’re like me, you probably work best without distraction—and most of your electronic gadgets are primarily designed to distract you, with notifications, popups and audible tones to get your attention. Texts and phone calls are the worst, in part because we’ve programmed ourselves to prioritize those needs above everything else. Now, Windows 10 allows you to treat a text like just another email. Cortana (here, for Android) is the app you’ll need to link your phone’s texting ability with your Windows 10 PC. Here’s what you’ll need: an up-to-date Windows 10 PC, an Android phone or iPhone—and, most importantly, the Microsoft Cortana app for Android or Cortana for the iPhone. 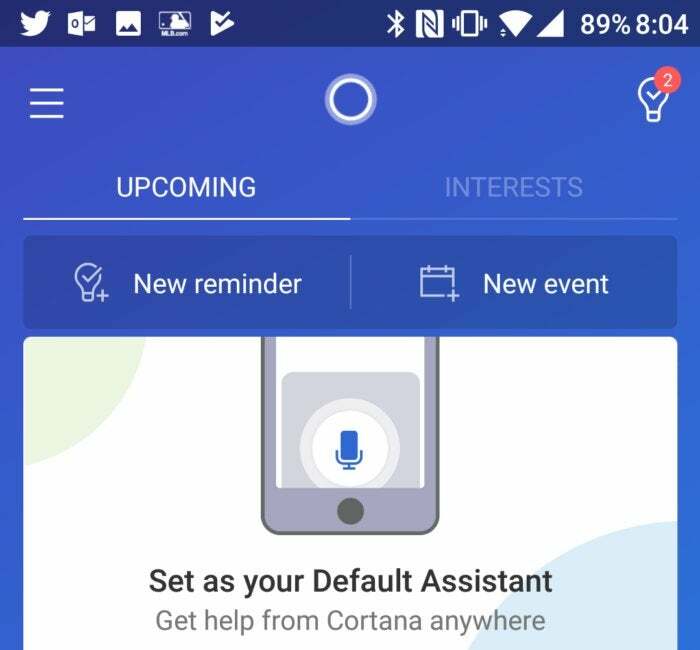 If you wish, Cortana can step in and largely replace your phone’s digital assistant. 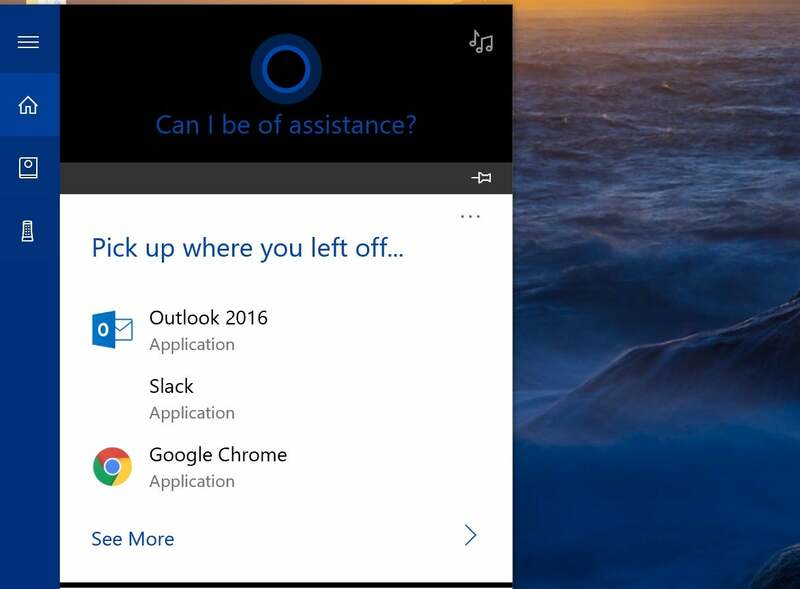 Even if you refuse her assistance, however, Cortana operates behind the scenes as the connective tissue between your phone and your PC. We’ve used the most popular phone platform, Android, for this article. The key to connecting your phone and your PC lies within the Cortana app’s cross-device settings (Go to the app’s “hamburger menu” in the upper left-hand corner, then go to Settings > Cross device.) 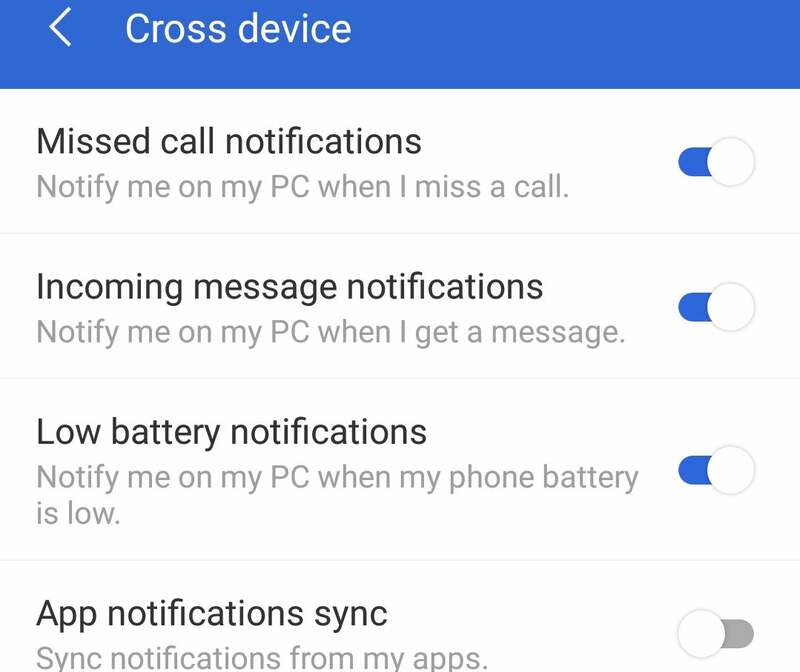 Make sure that the top three settings (Missed call notifications, Incoming message notifications, and Low battery notifications) are all toggled on. You can also toggle on App notifications sync, though of the four apps Cortana detected, some were obsolete (my discontinued Basis Peak fitness band app) and others were of dubious value, such as Google’s VR services. Toggle these Cortana options on to get your phone talking to your PC. A bit strangely, the ability to sync Cortana itself is off by default. If you toggle it on, the app warns that Cortana will have the ability to read all your messages. For now, there doesn’t seem to be any reason to do so, though it’s certainly possible that in the future your spouse might be able to text you a reminder—“pick up eggs at the store” and Cortana will interpret it as a formal reminder. As you might expect, the capabilities that the Cortana app toggled on enable the corresponding abilities within your PC. When your phone’s battery drops below a certain point (usually about 15 percent) a low-battery notification will slide in from the lower right-hand corner, and will archive itself within your Action Center notifications. If you miss a phone call, another notification will appear. Texts sent to your phone will also appear as pop-up notifications. What makes this especially convenient is the ability to reply to phone calls and texts right at your PC. If you miss a text, for example, you can click the notification (look for the downward-pointing caret) and a text box opens up. 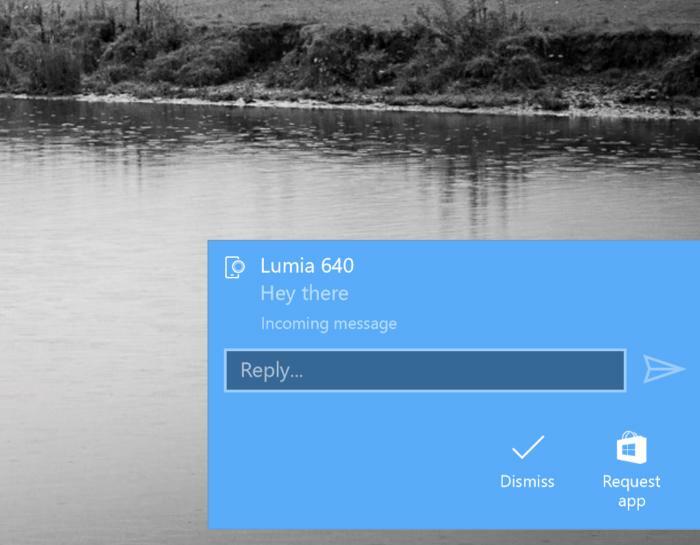 Within it, you can send a reply, and Cortana will talk to your phone and send it on its way. Even if you miss a call, you can send a text letting the other party know you’ll respond soon. Windows doesn’t allow you to actually call the other party back—either by phone or by Skype—though this could, presumably, be added to the future. ...but if you miss one, you can still reply right from within the Action Center. 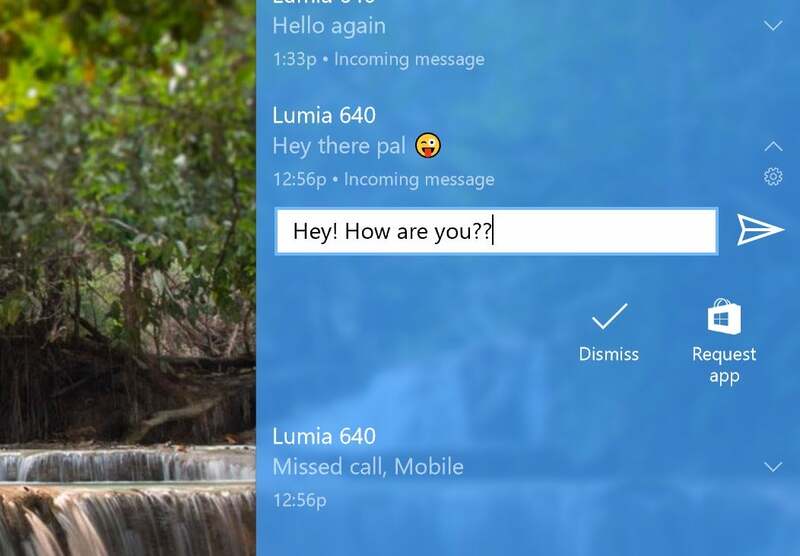 Unfortunately, this feature doesn't allow you to actually initiate texts from the Action Center notifications. You can, though, send texts from Cortana. 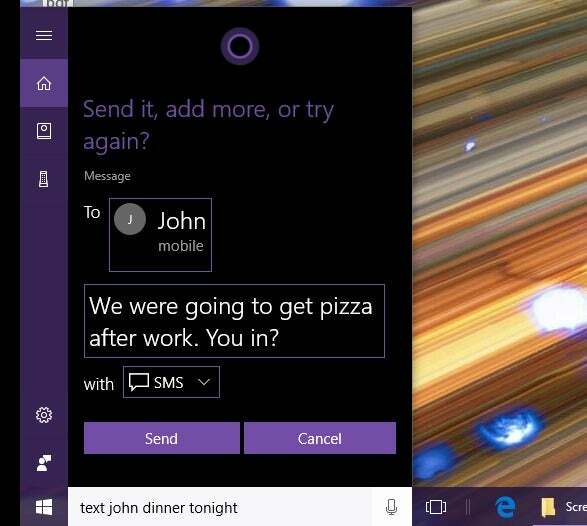 Say "Hey, Cortana, text John: We were going..." and the rest of the text to send SMS texts right from your PC. If there’s a drawback, though, it’s that this capability still isn’t as reliable as it needs to be. If you move among multiple Windows PCs, Windows can get confused about which one you’re working on, and send notifications to another. But even if you’re not switching PCs, Windows has an annoying habit of not always sending notifications until you shift focus between apps, or resume working from sleep or hibernation. Then a string of notifications pop up on your PC. Fortunately, you can still go into the Action Center and respond via text from the notification itself. Microsoft is still adding features to the Windows 10 Fall Creators Update, and Windows 10 Insider Build 16257 finally added one of the features Microsoft had originally promised: the “pick up where you left off” capability for phones. The idea is that you should be able to move seamlessly between Windows devices, specifically your phone and your PC. Again, this should be eventually part of the Fall Creators Update, due in September or so. 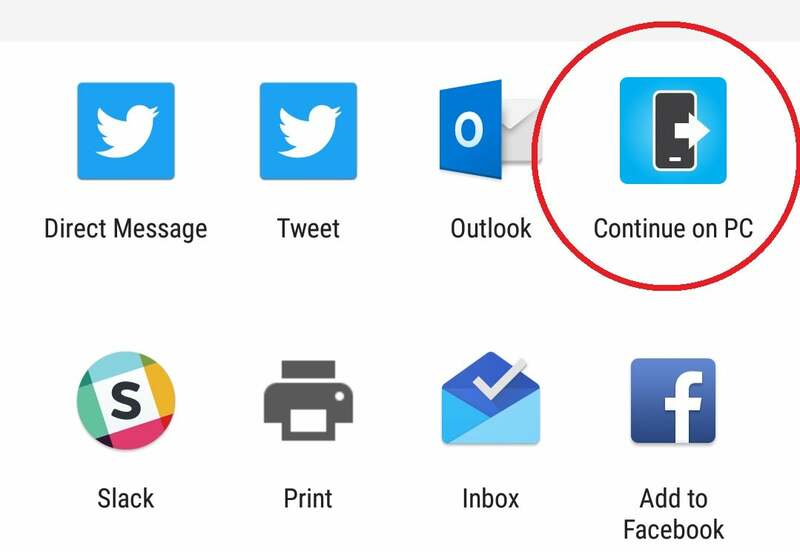 To enable this feature, you’ll need to do two things: link your phone within Windows, and download the required mobile app. 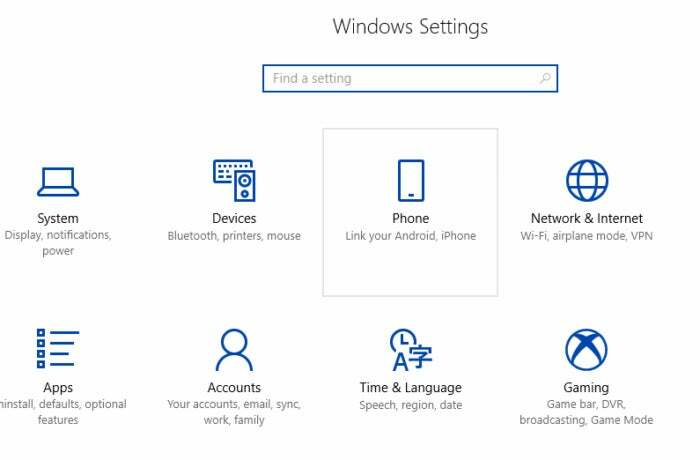 Meet a newcomer to the Windows 10 Settings menu: the Phone settings. You can share a Web page now, or later. 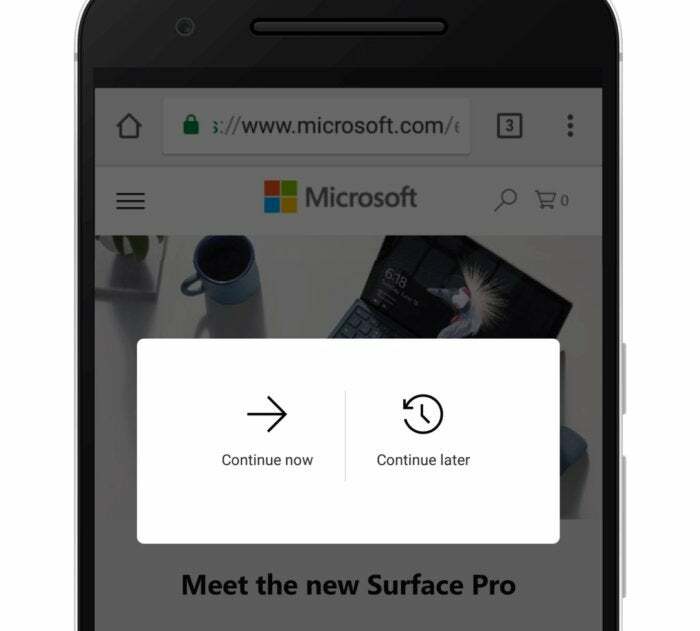 Share a Web page with the “Continue on PC” function, and Microsoft Edge will open it on your PC. Right now, the sharing options are not available on the mobile Office apps, though you can always auto-save documents to OneDrive for later editing on the PC. Not so useful right now. By now, you’ve probably heard of two-factor authentication, where your phone is used as an additional authentication beyond your password. Use it! But you may not know that you can avoid using your Windows password and use your phone as the primary login method to certain Microsoft apps and services—theoretically, at least. Remember, two-factor security is based on any two of these three factors: what you know, what you have, and what you are. Normally, two-factor authentication works by asking you for your password (what you know), then texting a code to your phone, or using an app (what you have). Microsoft’s Authenticator app for Android and iPhone is the approved way to receive that code. The combination of the password you know and the code Microsoft sends to your device secures the transaction. If you want, you can turn your phone into your primary authentication device. But you could also go a step further. Normally, if for some reason the Authenticator app can’t access the server and approve the transaction, the app can automatically generate an eight-digit code that changes every 30 seconds. To access it, you may need to tap the downward-facing caret next to your account, which displays the code. Here’s how it works. 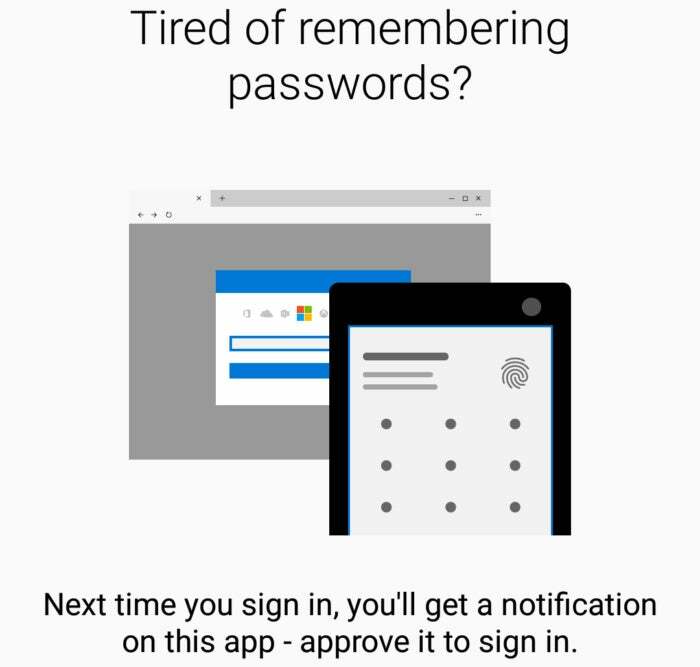 Some pages that ask for your Microsoft password have a small text link to “Use an app instead.” Authenticator becomes the first factor in the page’s authentication—remember, your phone (with the Authenticator app installed) is the what you have factor that's unique to you. You’ll still need a password, though. And in place of your Windows password, you’ll either enter your phone’s PIN unlock code (what you know) or touch your finger to its biometric sensor (who you are). Note that this works only for personal Microsoft accounts. Though the Authenticator app is available for Windows phones, this feature won’t work with them. (If that makes you mad, you can always complain in the comments section on the Authenticator page.) Microsoft also promises that more and more webpages will use this method to authenticate them—but for right now, we haven’t been able to find any. Which method is superior? If you have a complex, unique Windows password (you do, right? ), entering it and using your phone’s Authenticator app as the additional factor is probably more secure. However, it’s up to you. Unfortunately (or not) Microsoft still hasn’t enabled this method for unlocking your PC, though you can set up Windows to lock your PC when you’re away, if your PC senses you (and your phone) have moved away. Go to Settings > Accounts > Sign-in options, then scroll down to click the checkbox for Dynamic lock. Now, if you walk far enough away (with your phone), your PC will automatically lock itself to secure your privacy. Over time, it’s likely that Microsoft will try to tie the phone even more strongly to the PC. With over half of Americans now owning a smartphone (and millions more users overseas), it's easy to understand why. This story was updated on October 23 to reflect that the new feature is in the Windows 10 Fall Creators Update, and to add new details.